We create custom violins that are not only highly functional instruments but also beautiful works of art. Tonewoods are used for the most rare and expensive custom instruments, because they exude an exquisite sound. 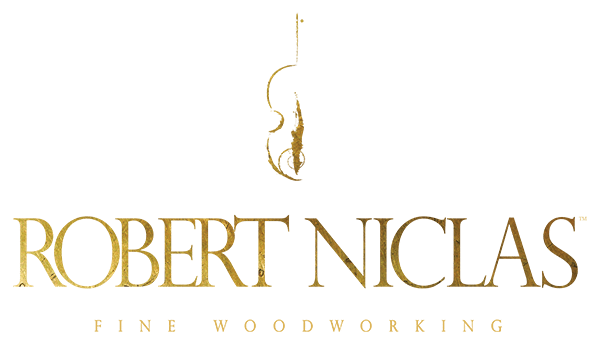 ROBERT NICLAS was inspired early in his life by his grandmother who taught piano and created sculptures and by his father, who’s work took the family to the Middle East, Europe and the Western States. Robert was in the Far East after he joined the Navy. In all of these travels he was inspired by the unique woodwork that people created. 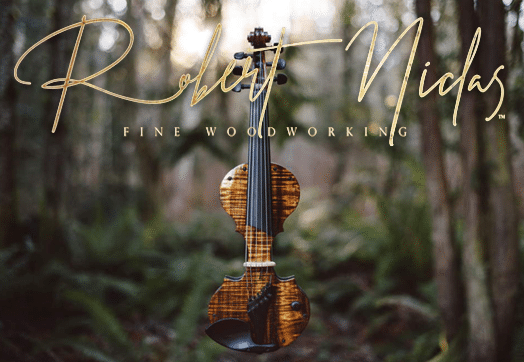 Coming from generations of artists and musicians, ROBERT NICLAS has created, designed, and expressed himself through woodworking since his pre-teenage years. His passion is creating beautiful custom pieces, including wood furniture, boats, wood carvings, and custom stringed instruments. Each piece has its own story to tell, and he takes special care to let the wood sing and reflect our wondrous world. Each piece has its own story to tell, and he takes special care to let the wood sing and reflect our wondrous world. Tonewoods are used for high-end custom instruments, because they exude a beautiful sound. Robert Niclas will receive a vision of a completed artisan woodwork when he least expects it. He has learned to record his inspirations of art in a journal until he finds the perfect piece of exotic wood. Robbie has completed numerous woodworking/furniture projects for the Carlson Family. Most of the projects utilized lumber from the family farm. The projects included Robbie’s signature two-legged coffee table, large oak slab table with matching benches, four-carved oak headboards, five-oak slab table/desk tops and more. Each project benefited from Robbie’s unmatched woodworking skill, artistic eye, dedication to perfection and wonderfully flexible and accommodating personality. I look forward to the next woodworking project with Robbie. 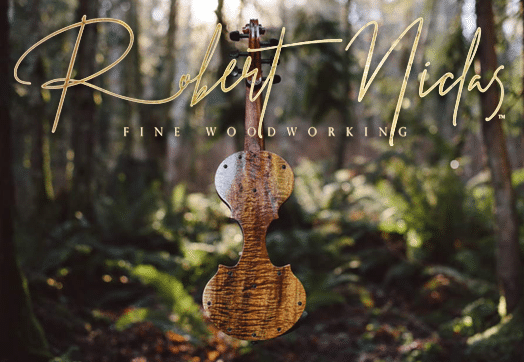 Robbie has done several woodworking projects for me over the past 12 years and I recommend Robbie without reservation for his heirloom quality woodworking artistry. I am a woodworker, but next to Robbie’s artistry in wood I realize I am a wood butcher! Robbie can take the most complex tasks, like the joints in compound curves on the doves in these pictures, and execute them perfectly. That takes a level of talent that few woodworkers possess. That combined with the fact that he is a joy to work with makes any project with Robbie a rewarding adventure! We proudly display his artistry on this beautiful kayak above our kitchen cabinets. We just couldn’t come to terms with the chance of damage to this work of art on the rocky Washington beaches. Notice the work on the crotch mahogany veneer on the kayak. I have worked with crotch mahogany, and I know for a fact that executing perfection with the book-matching of the veneer takes talent way beyond my skill level! Also note the display stands that Robbie custom configured for displaying the kayak - beautifully done and very functional! 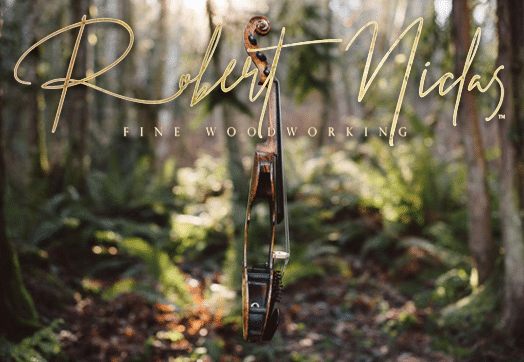 Robbie also has a talent for finding the absolute best exotic woods from around the globe, which along with his artistry makes every item a collector piece. I’ve worked with Robbie for well over 20 years building luxury yachts and have seen the quality of his work first hand. His work ethic and talent are absolutely remarkable and as a person, he is truly exceptional. Robbie has a gift! On the personal side, my wife and I have also purchased several pieces of art from Robbie and they are incredible. As you look at them, you're amazed at every little detail captured in each of his carvings. Anyone looking for a custom piece will be blown away by his talent.